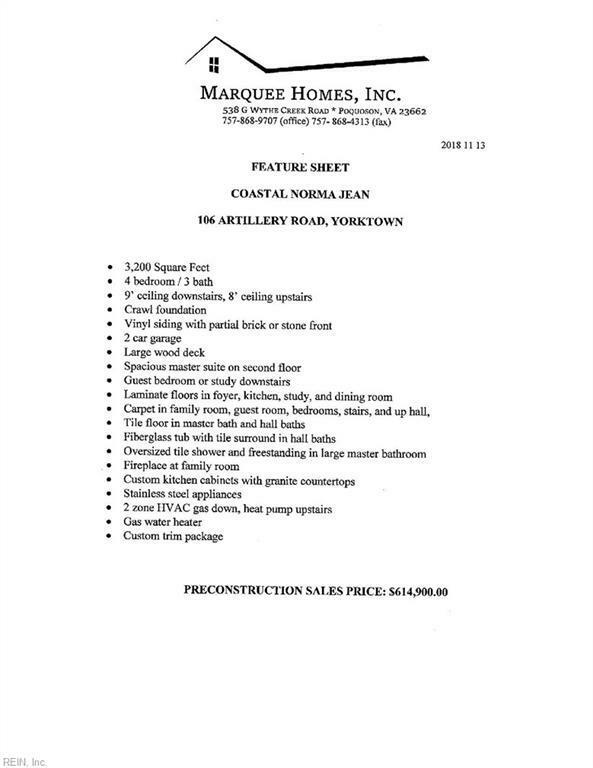 106 Artillery Rd, York County, VA 23692 (#10227954) :: Abbitt Realty Co.
New home in York County!! Buyer can select features and floor plan if still in time. 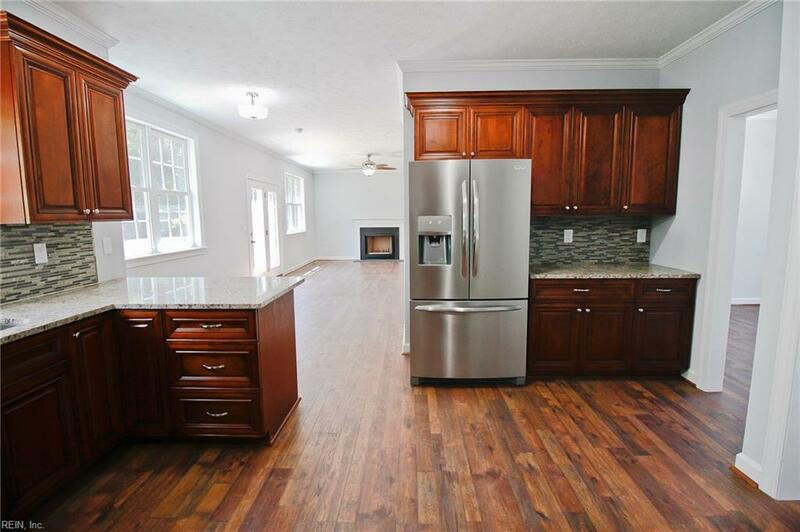 4-5 bedrooms and 3 full baths. Tray ceilings in master bedroom, huge walk in closets, master bath with over-sized tiled shower, granite counter vanity, custom cabinets, tile floor... Two-sided fireplace in family room opens to sun room.. 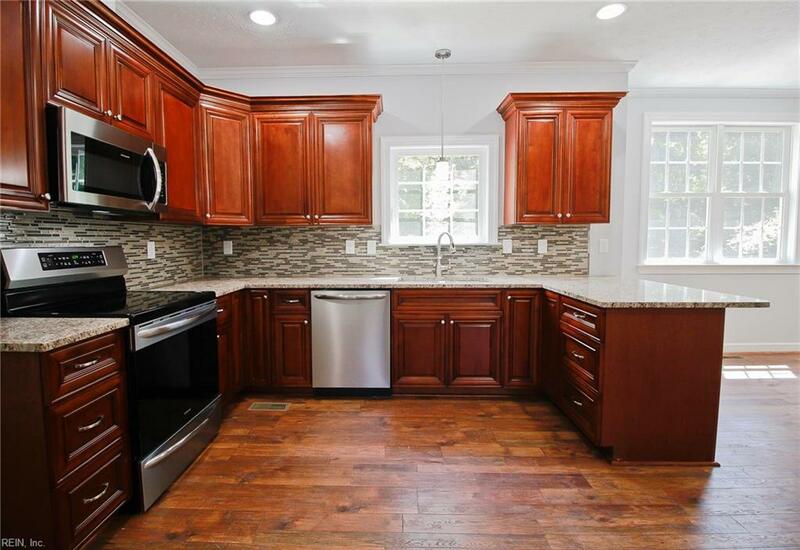 Kitchen with granite counter tops (premium level granite) and custom cabinets. bonus room over the garage. 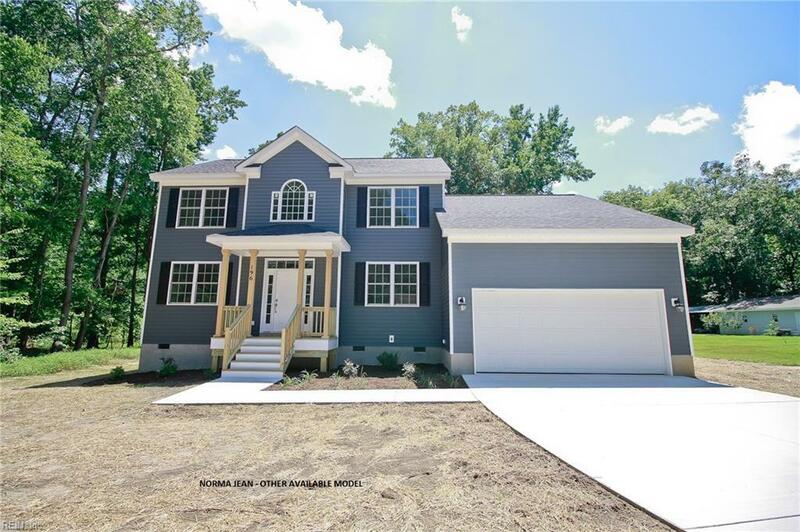 9' ceilings downstairs and all custom built features you dream of.. Oak floors in foyer, kitchen, bathroom downstairs and family room... Column arch detail separating formal dining room from living room...2 car attached garage. Spacious deck out back overlooking the backyard. Disclosure: Some listed features can be different due to nature of new construction. All pictures represent similar construction.